[S6] G.E. Cokayne; with Vicary Gibbs, H.A. Doubleday, Geoffrey H. White, Duncan Warrand and Lord Howard de Walden, editors, The Complete Peerage of England, Scotland, Ireland, Great Britain and the United Kingdom, Extant, Extinct or Dormant, new ed., 13 volumes in 14 (1910-1959; reprint in 6 volumes, Gloucester, U.K.: Alan Sutton Publishing, 2000), volume I, page 372. Hereinafter cited as The Complete Peerage. [S6] Cokayne, and others, The Complete Peerage, volume I, page 373. Edward Campion was born in 1934. He is the son of Wilfred Edward Campion and Nieza Sarrell. Lilas May Poeteous married William Simon Campion, son of Colonel Sir William Robert Campion and Katherine Mary Byron, on 15 June 1921. Her married name became Campion. From 30 November 1830, her married name became Stanhope. After her marriage, Hon. 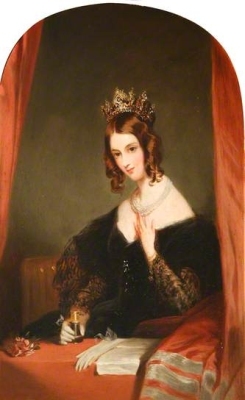 Anne Elizabeth Weld Forester was styled as Countess of Chesterfield on 30 November 1830. [S6] G.E. Cokayne; with Vicary Gibbs, H.A. Doubleday, Geoffrey H. White, Duncan Warrand and Lord Howard de Walden, editors, The Complete Peerage of England, Scotland, Ireland, Great Britain and the United Kingdom, Extant, Extinct or Dormant, new ed., 13 volumes in 14 (1910-1959; reprint in 6 volumes, Gloucester, U.K.: Alan Sutton Publishing, 2000), volume III, page 47. Hereinafter cited as The Complete Peerage. [S6] Cokayne, and others, The Complete Peerage, volume III, page 185. [S6] Cokayne, and others, The Complete Peerage, volume III, page 186.